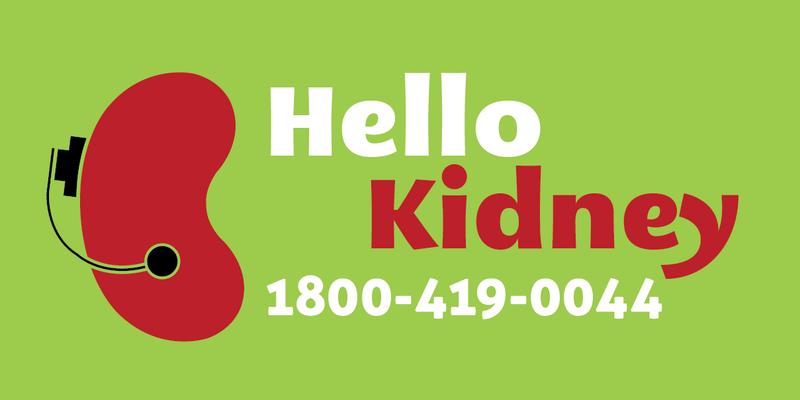 We at NephroPlus are launching Hello Kidney today, a free helpline where you can call to check on any kidney related issue. If you want to check about some symptoms that you suspect are related to the kidney or you are on dialysis and want to find out more about transplants, call Hello Kidney! The call will be answered by trained doctors and not some giggly, nice-sounding girls who have no clue whether humans generally have one kidney or two! So, now if its a kidney problem, help is just a call away!